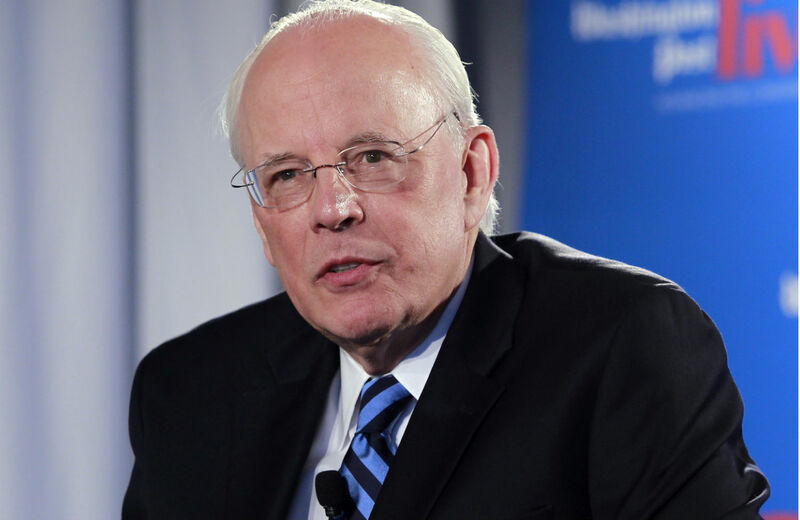 To celebrate the fortieth anniversary of Nixon’s resignation, we talked with John Dean—he had been counsel to the president, and it was his Senate testimony that led to Nixon’s resignation. His new book is The Nixon Defense: What He Knew and When He Knew It. Jon Wiener: You set out to reconstruct the day-to-day history of Nixon’s actions from the beginning of Watergate to the end, and you had a great source, the White House tapes. We know a lot about the tapes—the racism, the anti-Semitism, the plotting and scheming—but you listened to tapes no one else had heard before. How many tapes did you find–and how long did it take you? John Dean: When I agreed to do the book, I was trying to figure out how anybody as savvy and intelligent as Nixon could have destroyed his presidency on a bungled burglary. But had I known how long it would take—four years—I might not have undertaken the assignment. I found a thousand conversations that no one had listened to except the archivists; there were partial transcripts for only 400. There isn’t a page in this book that doesn’t have something new to me—and I’ve been pretty close to the story since 1972. What did you discover about the motivation for the original break-in at the Democratic National Committee headquarters in the Watergate complex: what were the burglars looking for? And, most important, did Nixon send them? There’s not a scintilla of evidence that Nixon had advanced knowledge. Nixon is concerned in the early days that he might have instructed Charles Colson to do this. But Colson tells him “no.” The burglars’ original mission was to break into McGovern’s headquarters. That is traceable back to Nixon. He tells Haldeman to plant a bug in McGovern’s headquarters. But the burglars started out that night with Gordon Liddy’s original plan: to find financial information to embarrass Larry O’Brien, the chairman of the Democratic National Committee, at his office in the Watergate complex. It’s just as stupid as it sounds. How bad would it have been if they had succeeded in finding that Larry O’Brien had taken illegal money? Would that have significantly damaged the McGovern campaign? The first big decision was to pay hush money to the burglars. What did you learn about that? Certainly Nixon knew it from the outset. On June 20, same day as the eighteen-and-a-half-minute gap, Nixon suggests they set up a “Cuban committee” to raise money for the Watergate defendants. What’s ironic is that that plan could have been legal. You were the president’s lawyer. When did he call you? What did you know, and when did you know it? I don’t see the president until eight months after the arrests. That’s when you told him “there’s a cancer on the presidency.” What did you learn from the tapes about his reaction to what you told him? The burglary at the Watergate was actually the second one conducted by the White House plumbers unit—the first had been at Daniel Ellsberg’s psychiatrist’s office in Beverly Hills. It was Nixon’s obsession with Ellsberg leaking the Pentagon papers that led him to create the plumbers unit. Did Nixon himself connect the dots between the Ellsberg break-in and the Watergate break in? He doesn’t connect them until I tell him on March 17, 1973—the Watergate arrests had been on June 17, 1972. One of the amazing things I discovered is that neither Haldeman nor Ehrlichman tell him about the jeopardy the White House has—that the same people now in the DC jail had also been used to break into the office of Ellsberg’s psychiatrist. Nixon’s plan was to blame the whole thing on you, to say you ran the cover-up. It was your word versus the president’s. Fox News still seems to be making this argument. Could that have worked at the time—send you to jail, and leave Nixon in the White House? I had nothing to do with the break-in or the cover-up. But there’s a good possibility it would have worked to blame it all on me—if the tapes hadn’t come out. Nixon knew all his conversations were being taped—including planning the cover-up and arranging for the hush money. Why did he keep talking? Occasionally it’s clear he knows he’s recording himself. But 98 percent of the time he’s oblivious—because he doesn’t think anybody will ever get access to the tapes. In April he instructs Haldeman to remove the system, but Haldeman reminds him that “Henry Kissinger might write a different history than you, so you might want to have a good record of national security matters.” He agrees with that. Then he says, “Let’s destroy everything except the national security material.” Haldeman says, “Sure,” but then never does it—because he gets consumed by Watergate himself. What did you conclude about the eighteen-and-a-half-minute gap? I concluded that “Who created the eighteen-and-a-half-minute gap?” is the wrong question. It’s a mystery, but what difference does it make? The important question is what they erased. My book has a special appendix on that. Finally: What was it like for you to spend four years listening to Nixon talking? I told my wife Maureen, “Men in my family go deaf in their mid-70s, and I’m getting there. God forbid that the last voice I hear is Richard Nixon’s.” Fortunately, Jon, I can hear your voice, so I’ve come out the other side.